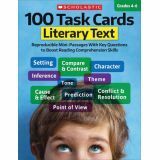 Give students the tools they need to meet– and exceed–the new language arts standards in just 10 minutes a day! 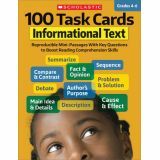 Each book contains 100 reproducible cards stocked with high interest mini-passages and key questions to quickly hone comprehension skills. 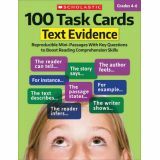 Focus topics include main idea and details, making inferences, summarizing, predicting, citing text evidence, author's purpose, and much more. 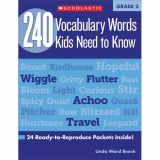 Perfect for whole-class, group, or independent learning. 80 pages. Is your child struggling to learn sight words? Are they working really hard to read? The majority of children learning to read are at a stage in which they learn naturally through visuals, body movement, and storytelling. Teach to their strengths with the entire set of SnapWords® sight word cards. SnapWords® harness the power of images, story, and motions to reach your struggling reader. If your child has been identified as a right-brained, visual, kinesthetic, or tactile learner – our multi-sensory cards and activities will engage all your child's strengths and will unleash their potential to read. And leave tears, frustrations and behavior issues behind. 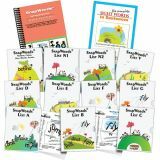 Whether using in the home or in the classroom, this kit delivers everything your child needs while learning to read sight words. All 220 Dolch words, 500 Fountas & Pinnell most frequently recurring words, 300 Fry instant words and some extra high-frequency words. 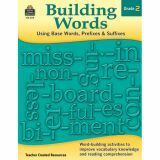 The ability to identify and define base words or roots, prefixes, and suffixes is essential to decoding unfamiliar words. This resource provides students with opportunities to examine words and understand their meanings in order to improve vocabulary and fluency. The teacher-friendly lessons and practice activities engage students in the study of words, their meanings, and proper usage. Correlated to the Common Core State Standards. 64 pages.